This article is a contribution to a four-week blog series celebrating 30 years of USAID’s John Ogonowski and Doug Bereuter Farmer-to-Farmer (F2F) Program. From November 16 – December 11, 2015, partners of the Farmer-to-Farmer (F2F) Program are sharing their knowledge and experience in providing volunteer technical assistance to farmers, farm groups, agribusinesses, service providers, and other agriculture sector institutions in developing and transitional countries. Closely aligned with Feed the Future, the U.S. Government’s global hunger and food security initiative, the F2F Program works to support inclusive agriculture sector growth, facilitate private sector engagement in the agriculture sector, enhance development of local capacity, and promote climate-smart development. Targeted volunteer assignments address host-led priorities to expand economic growth in ways which increase incomes and improve access to nutritious food. This blog series aims to capture and share the experiences of hosts, volunteers, and program partners. To mitigate the potentially devastating effects of soil degradation, the Farmer-to-Farmer program strategically develops assignments which focus on soil management and conservation to improve agriculture production. 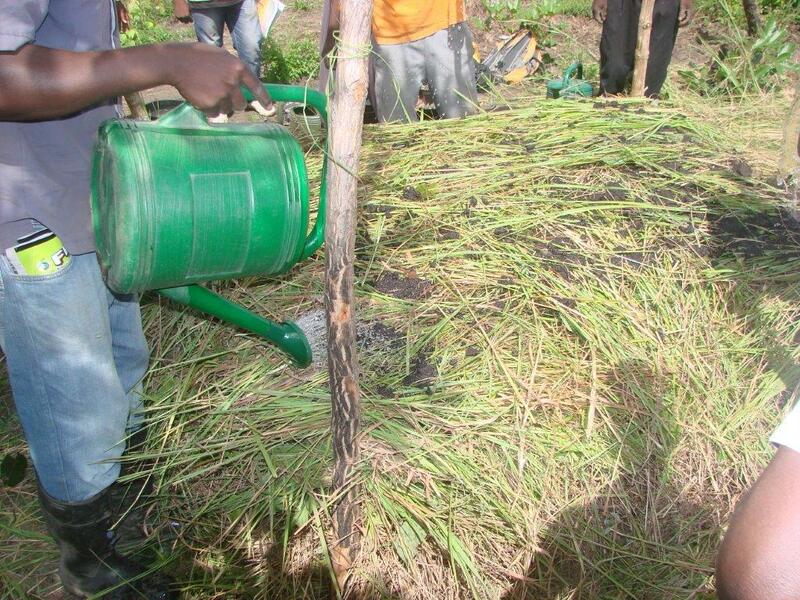 As part of these assignments, volunteers address soil fertility challenges with organic matter building techniques, such as composting, mulching, use of green manures, and the incorporation of legumes to conserve the health of soils in the long term. Through improving soil conditions, farmers can significantly improve the quality, and quantity, of their crops, and keep soils healthy for continued production into the future. CNFA is pleased to reflect upon past innovative and successful soil management assignments to highlight some volunteer all-stars who helped farmers in Southern Africa better manage this vital natural resource. 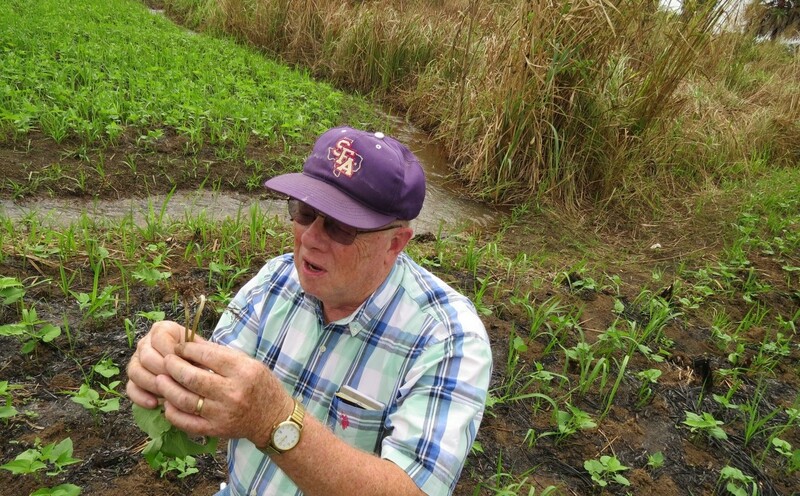 While working with the Association of Pindu & Pungu in Soyo, Angola, Farmer-to-Farmer volunteer Dr. Leon Young (pictured above inspecting nitrogen-fixing nodules at the roots of bean plants) focused on issues of soil regeneration. He devised a locally appropriate guide for better soil conservation via increased incorporation of legume crops inoculated with rhizobium (a soil bacterium that assists in fixing nitrogen‑ an essential element for plant growth) and an itinerary of mixed organic and inorganic fertilizer treatments that reduce soil erosion and increase production. 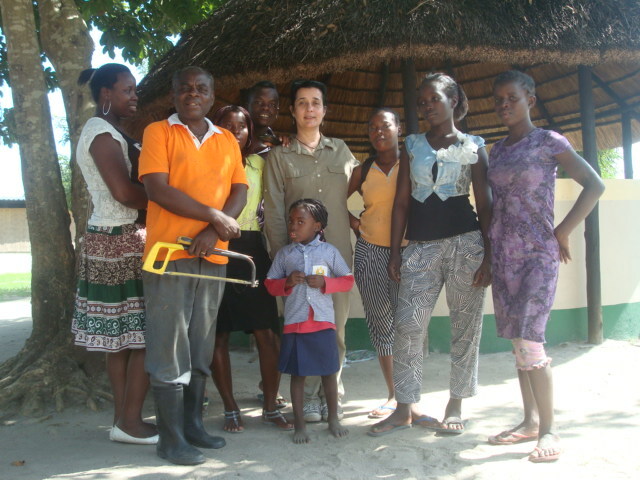 Visiting the horticulture farm of Bernardo Lucas in Mozambique, Farmer-to-Farmer volunteer Charlene Nash sought to improve the farm’s soil through improved composting practices and land preparation management. Nash demonstrated proper compost building techniques through the layering of fresh and dried materials, and the monitoring of compost temperature to produce maximum benefits to crops and soils. Nash also focused on teaching the basic foundation of soil science, helping the farmers understand how producing nutrient rich soils can result in nutrient rich and healthy crops. The development of conservation strategies is a crucial tool utilized by F2F volunteers to ensure long-term improvements to food production. One host, one volunteer, one assignment at a time, Farmer-to-Farmer provides volunteer technical assistance to address the challenges of agricultural production. By addressing soil conservation, Farmer-to-Farmer leaves a lasting impact on the long-term preservation of this essential natural resource. Read more articles celebrating 30 years of F2F on Agrilinks. The CNFA-implemented Farmer-to-Farmer program has been operating in Southern Africa since 2008, focusing on horticulture and legume value chains in Angola, Malawi, and Mozambique. Our volunteers work with agribusinesses, extension agencies, cooperatives, and farmers in many areas, including crop production, post-harvest handling and marketing of seeds, cooperative and association development, business plan development, and financial management.